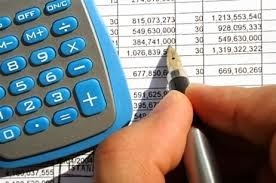 Budgeting is the process of allocating your time, money or any other resources to a desired plan over a given period of time. In terms of financial management, your budget should focus on the total amount of money you receive over certain amount of time. Your budget can either be daily, monthly or annually but one thing’s sure— no matter what type of budget you will do, you should be able to create an equation. The foremost reason why a person fails to budget effectively is the lack of strong will to hold on and accomplish the budget. Not because you failed the first time does it mean that you are already a failure. Only those who quit easily are justified to be called a failure. If the budget for the month of January didn’t work out well then try to do another one by the month of February. Do not stop until you found out a budget that works perfectly for your needs.